Best Season:February to May & September to December/Trek can be done in the Monsoon too. 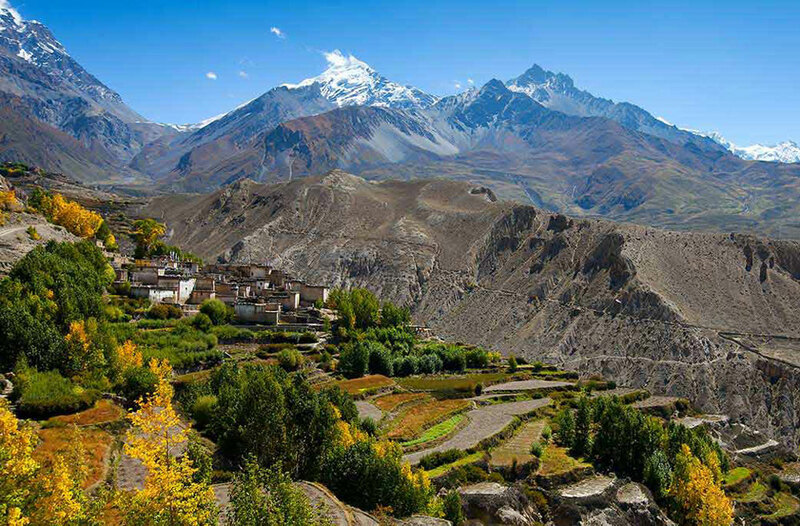 Upper Mustang Trekking is known as the hidden treasure, the remote Trans-Himalayan Region. The other name of this area is Lo. 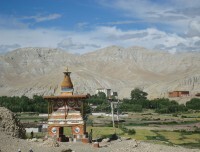 Lo was a part of Tibetan region. 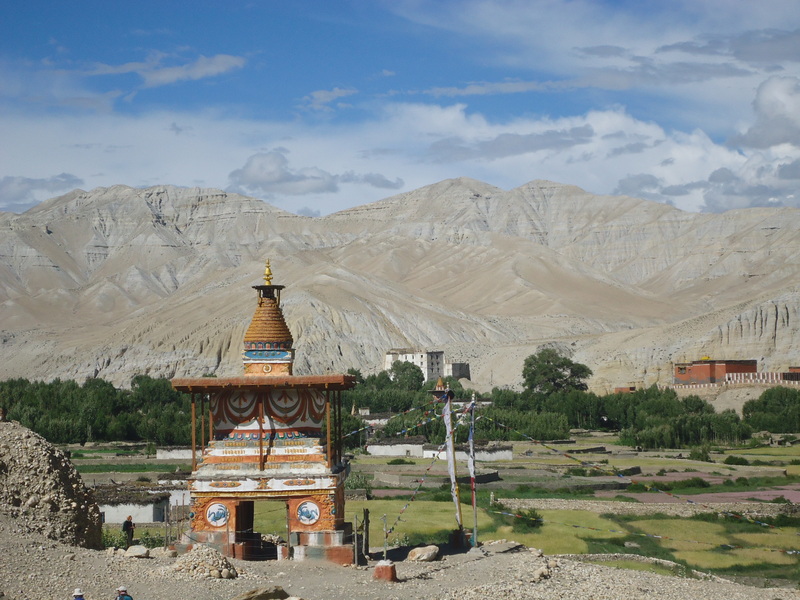 So, in Upper Mustang, there is an influence of Tibetan Buddhism, culture and their life styles. 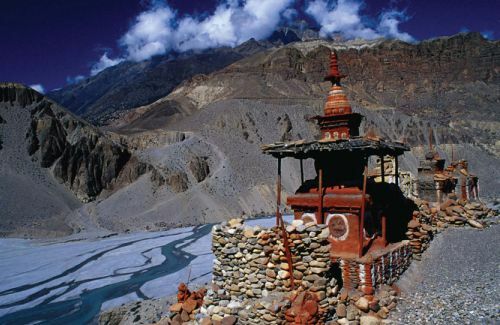 The people of Upper Mustang call themselves Loba, the leader of their community would be designated as a king. The locals show their deep respect to him. Still not only the culture but also the landscape seem similar like of Tibet highland. Mustang is in the rain shadow area of Dhaulagiri, encircled by rocks, completely isolated barren landscape of bizarre formations. Therefore, we can explore the monasteries, caves, local tribes and scenic beauty of the different landscapes. 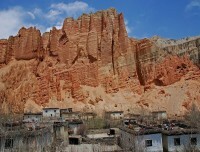 The houses of Upper Mustang are made up of stone and sun baked bricks. The whitewashed houses have collected firewood tucked in the roof. Mustangis have their unique family life. All the brothers in the family have a single wife, a practice of polyandry. Upper Mustang was the restricted region till October 1991 for the foreigners so that it is still known as the Last Forbidden Kingdom. One should get a special permit to enter this area valid your permit for 10 days and each additional days cost extra money. 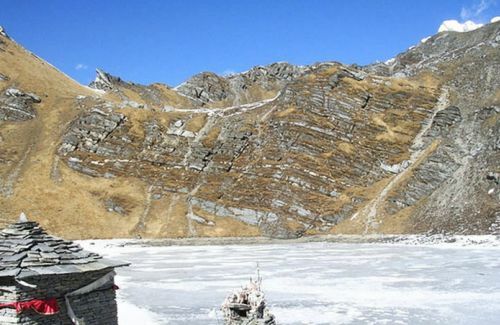 The trail follows the traditional salt trade route to Tibet from the lowlands. 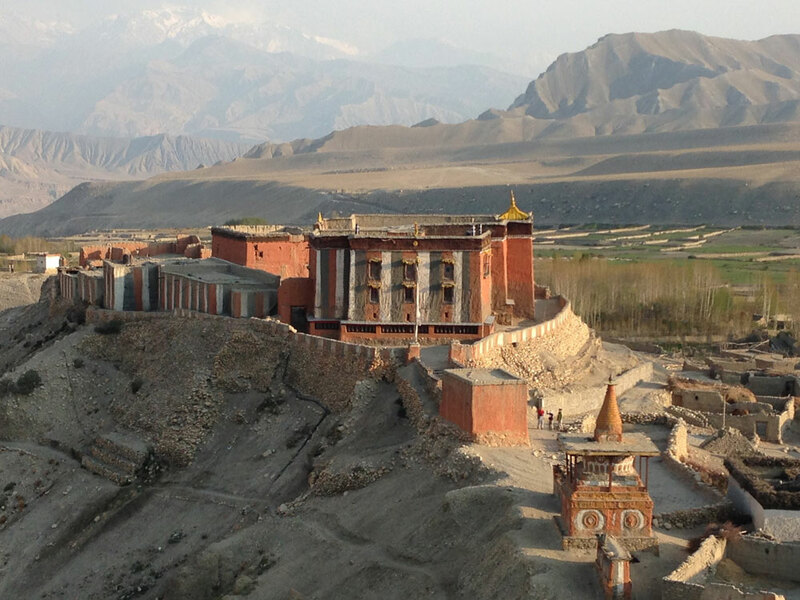 Lo-Mangthang is the capital of Upper Mustang, a medieval town which has been surrounded by the huge town wall and the remarkable architecture is four stored palace of this place. We can get the better barren landscape view from Lo La Pass. 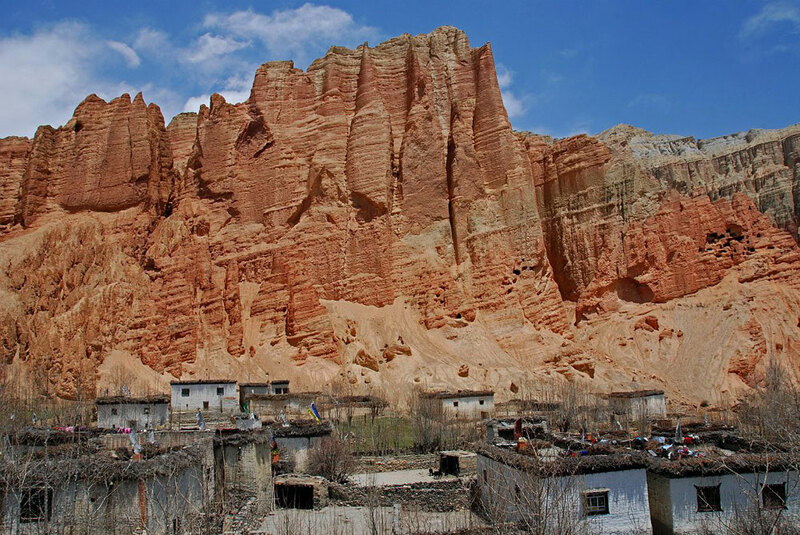 Another attraction of Upper Mustang is the Tiji festival, which is celebrated in the late winter, with the ending of the dry season. We can take an early flight to Jomsom from Pokhara then the journey starts. The trail heads towards to Ekali Bhatti village and to Kagbeni which lies on the bank of two rivers. On the way along the river , we go through Tange village with narrow alleys among white washed houses. We climb to Taklam La Pass through plateaus from where magnificent views of Tilicho peak, Yakawa Kang and Damodar Danda can be seen. 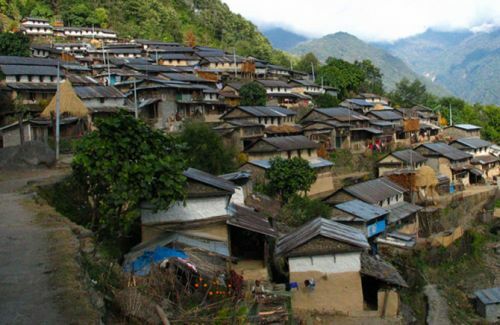 A three hours long walk takes us to the small village of Samar then we again trek to Syangbochhen. Trek uphill takes us to Yamda La. After Nyi Pass, we descend to Ghyami, the third largest village in the low region. The crossing of Ghyami Khola takes us to the village of Charang. 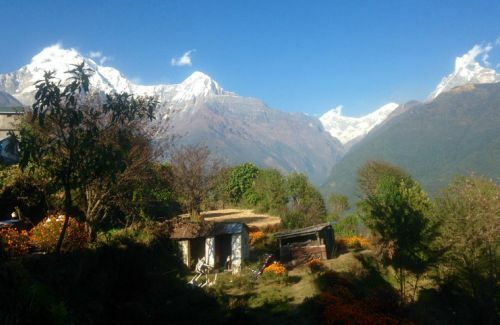 The trail then leads us towards Lo-Mangthang with magnificent view of Nilgiri, Tilicho, Annapurna I and Bhrikuti Peak. 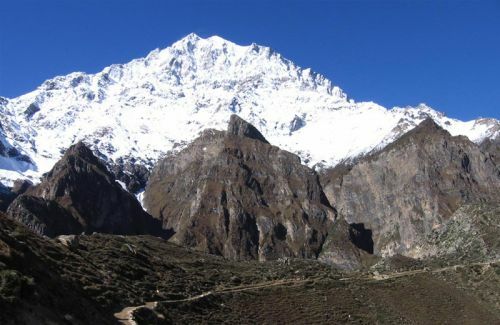 The best time to trek this reason is from April to November. We can trek Upper Mustang even in the monsoon season as well because this is the rain shadow region and the least rainfall area of Nepal. 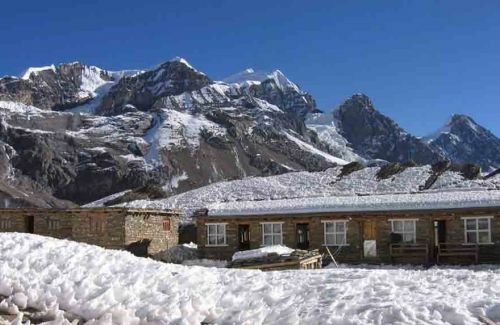 Himkala Adventure has carved out for itself an enviable niche at the summit of the best trekking company. We have earned the place of pride through the vision and dedication of a team, caring and guests’ interest focused services. We have our guides possessed cutting edge knowledge in guiding and showing confidence and cordiality in any difficult circumstances as well. 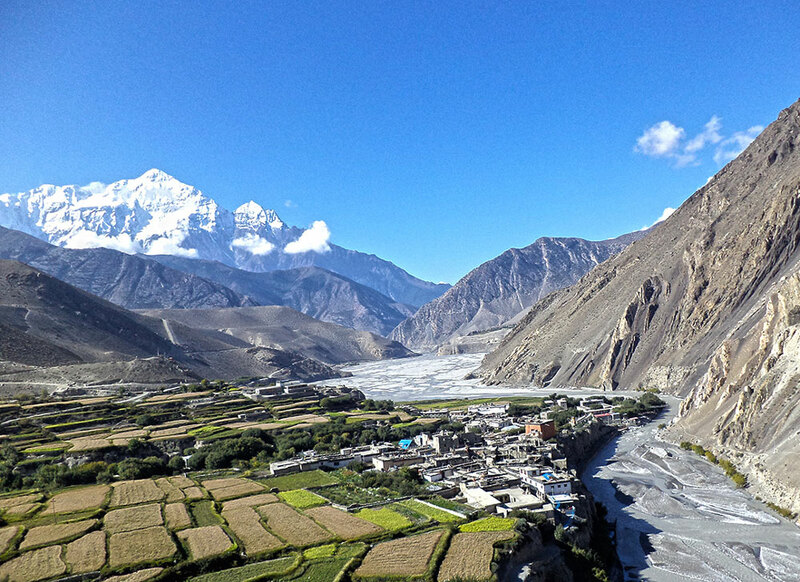 Himkala Adventure would like to quench the thirst of all necessary questions answers about Upper Mustang Trekking for all curious travelers/trekkers in the world. As you are entirely from different geographical location, you could better to know everything about the treks from the beginning i.e. airport pick up till your departure like airport picks up, drops off, accommodation in city, in the trek, guide and porters, safety for the trekking, food and accommodation and some other things that you might face on the way. Hope our endeavor listing these questions answers will help you self informed. 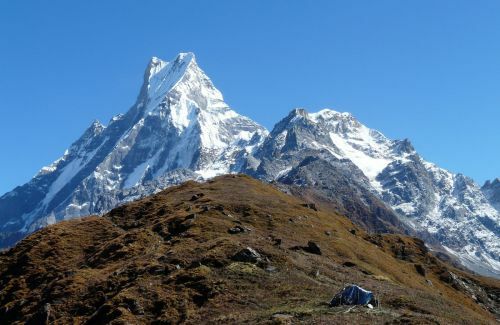 This is simply the outlines of the services we offer but it may differ as per your requirement, number of trekkers. What we go through our conversation, we will manage the means of transportation, hotels in the city, accommodation in the trekking, numbers of porters etc. 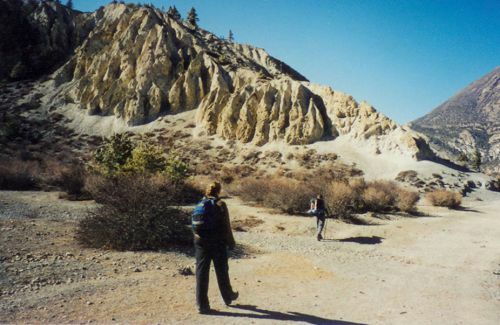 This is general idea about Upper Mustang trekking before your trip and you become clearer about the trek. 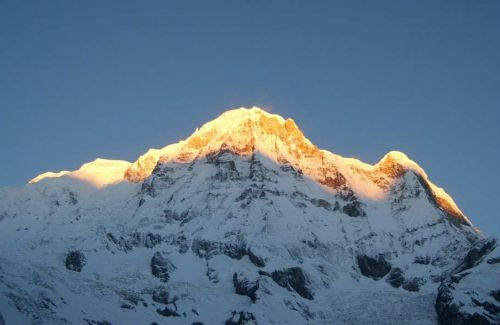 Please feel free to contact us to get more information about the trekking in the Himalayas of Nepal. 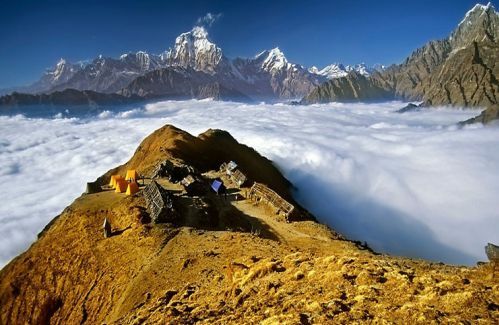 1) How is Upper Mustang Trekking in Nepal? 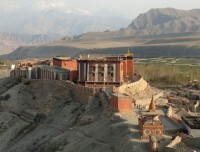 5) How are tea house facilities during Upper Mustang Trekking? Tea House is the combination of guest house, restaurant, and social hang out. 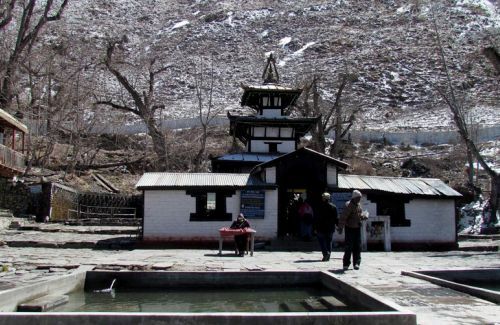 Tea houses in Jomsom Muktinath Trekking area are highly professional though they are simple but with neat and clean lodging offering fine views and plain but fresh and hygienic food with friendly atmosphere Most of the Tea Houses have running water facility. Many of them have hot water available for bathing. But we discourage our groups from using water heated by wood as lack of firewood in most villages is a big environmental concern in Nepal. 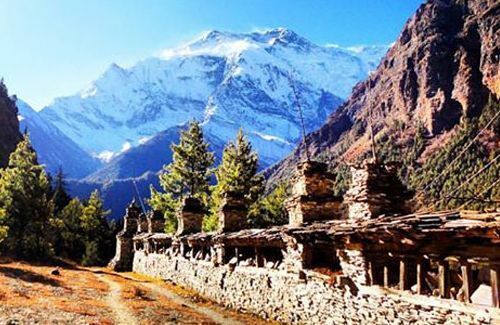 The best season for Jomsom Muktinath Trekking is spring (March to May) and autumn (September to December). 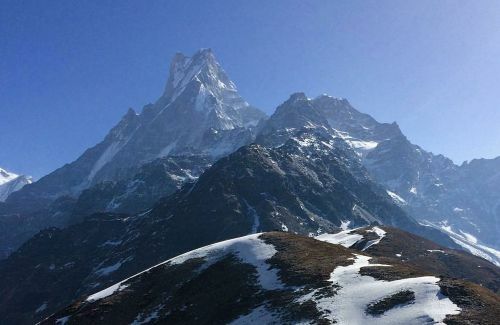 These are the perfect time of the year for the breathtaking views of Himalayas with clear and sunny days. But the weather in the mountains is unpredictable. 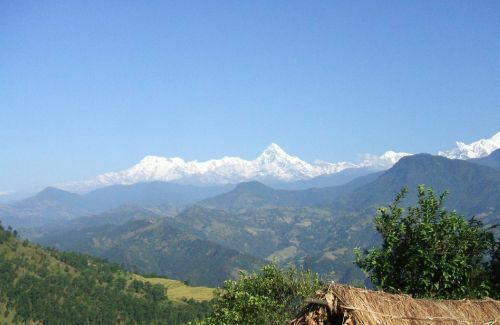 The climate in Nepal varies from place to place which can be categorized in different four main seasons. 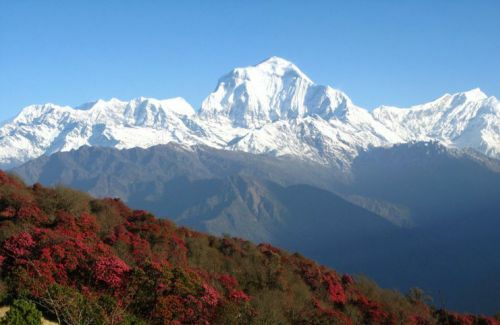 The main seasons in Nepal are spring (March to May), summer (June to August), autumn (September to November) & winter (December to February). 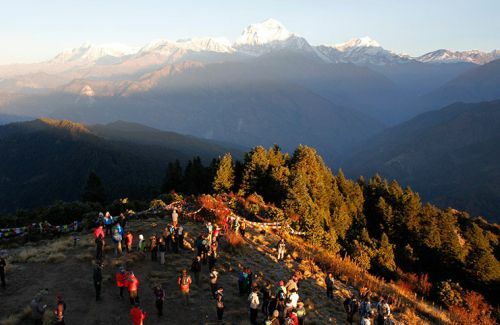 The best season to travel in Nepal is autumn (September, October & November) & spring (March, April & May). Weather in the mountains is unpredictable. 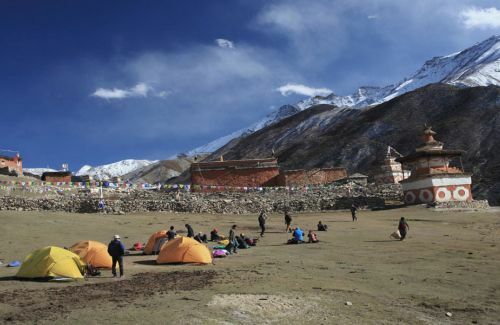 But the day temperature in the Upper Mustang Trekking is comfortable. 13) May I charge my electronic gadgets during Upper Mustang Trekking? 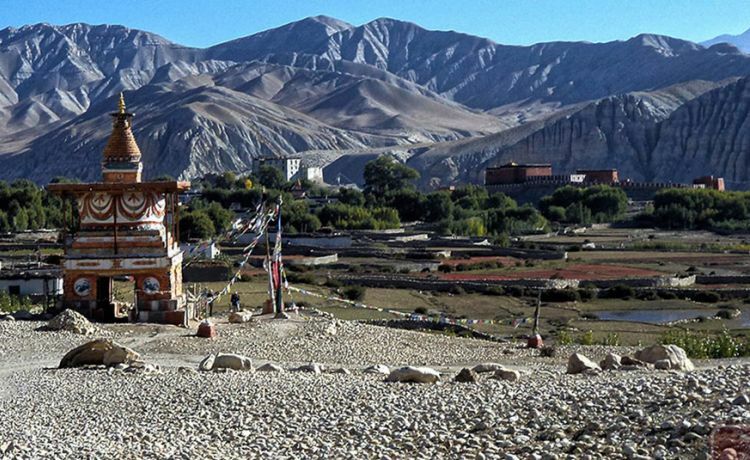 We operate individual trip to the group joining trips for Upper Mustang Trekking. If you want to do any private trip we are ready to organize for solo traveler as well with some additional charges. 17) Are there communication or internet services during Upper Mustang Trekking? 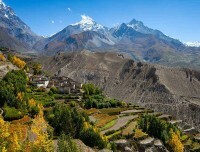 18) May I get chances for shower during Upper Mustang Trekking? 23) What type of shoes should I wear during Upper Mustang Trekking? You could better have carefully chosen hiking boots which should be kind of strong, well-made but light boots for Upper Mustang Trekking. 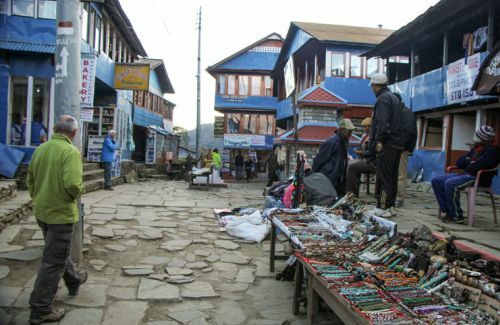 Shoes and boots are best to buy before arriving in Nepal. We advise you to wear your new shoes for sometime before trek so that you could feel well habituated on the newer trail for your feet. 24) Can I use credit cards in the Upper Mustang Trekking route? 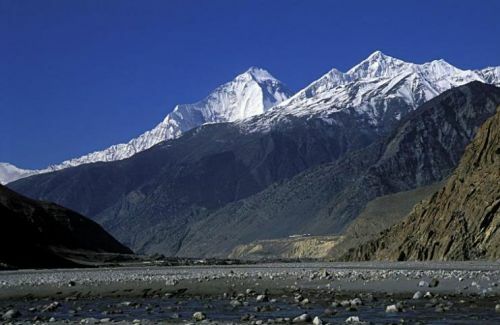 Of course not, you can use only in the cities like Kathmandu, Pokhara but not in the Upper Mustang Trekking route. When you are out of city, all you need is cash, better to have small notes. Please change the currency in local Nepali rupees before you go to the mountains. 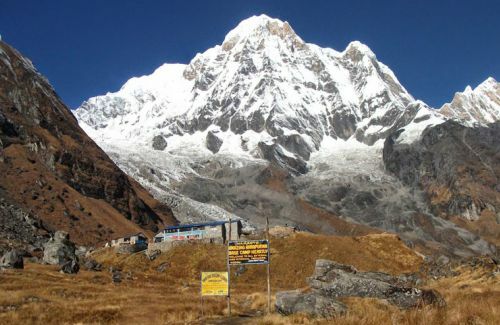 The main trekking season in Nepal is from October to December and March to May. The day temperature for walking in Upper Mustang Trekking is comfortable. The sky is clear although there is snow and rainfall occasionally. 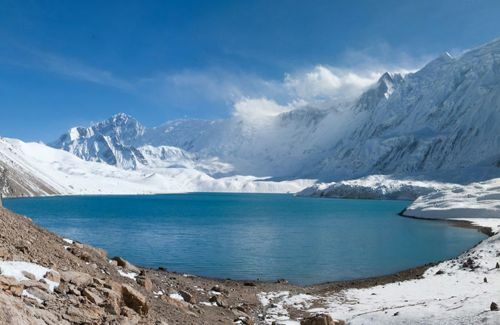 It is about 10 degree centigrade at the height of 3,600 m and increasingly lower, the higher we go. Your trip will be meaningful if you could find yourself fit and fine. 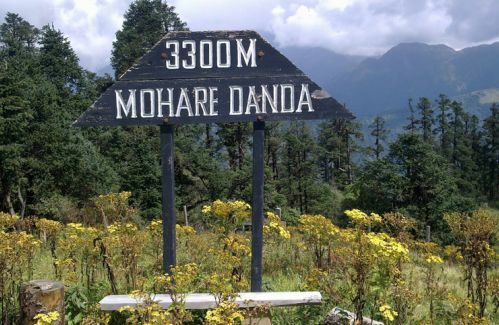 You will be walking up to 4,200 m from the sea level. As the geographical region varies, there is a temperature variation as well. So, we advise you to undertake regular physical exercise, jogging, hiking, riding, ascending and descending the long stairs etc.Precautions and acclimatization are undertaken but be aware of the effects altitudes can have.